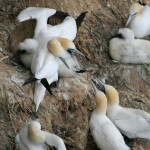 Relaxed tailor-made wildlife and culture holidays for small groups. Main 2019 tour dates are now FULL: for short-break enquiries please click here. 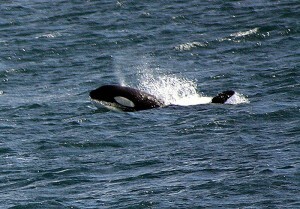 I’m often asked how to sum up an Orcadian Wildlife Tour? These 4 pictures might help, or see below. 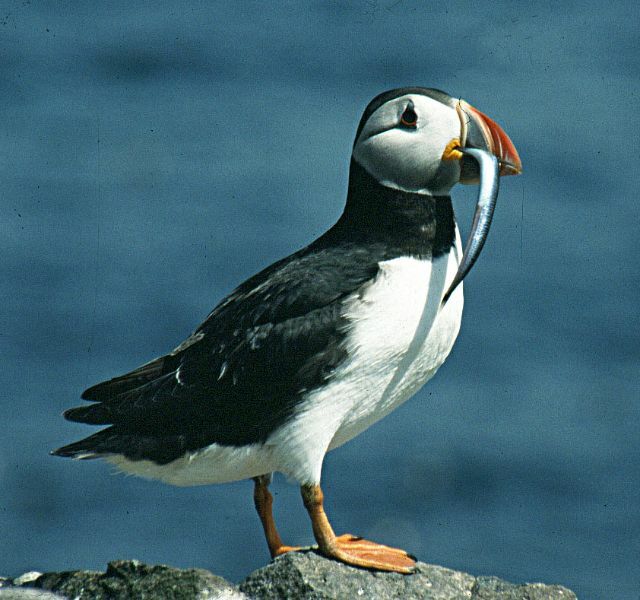 From above left: Orkney’s best-loved bird, the puffin, always feature in our itineraries; a typical group enjoying the Old Man of Hoy; Skara Brae and other 5,000 year-old Neolithic sites are a must; and finally gannets at Noup Head gannetry on Westray. 2019 programmed tours are now full. Private short-break tours for small groups may be available on request, please enquire here. Early bookings are also being taken for a ‘Beachmaster Tour’ to the Falkland Islands in October 2020 – for information click here. A pair of white-tailed (sea) eagles has attempted to nest on the island of Hoy since 2015. 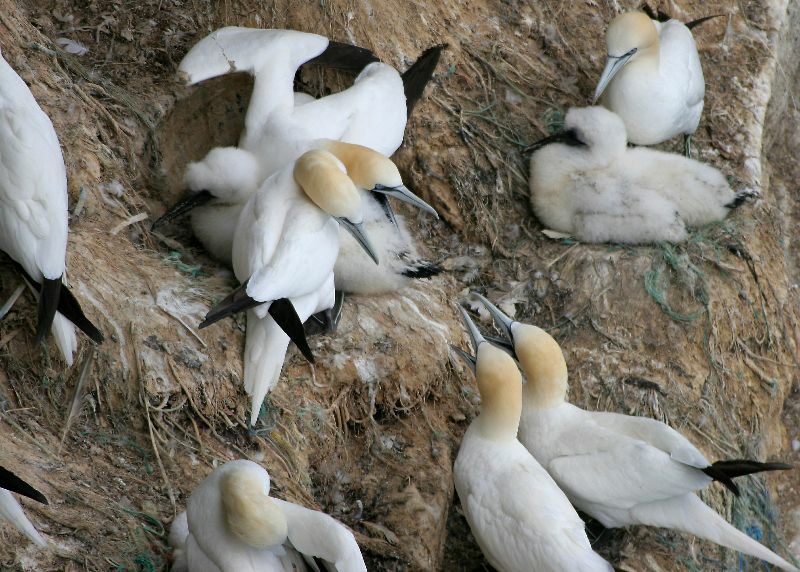 Hoy always features in our itineraries and there is always a good chance of seeing the birds. I’m delighted to report that 2 chicks fledged successfully in 2018! 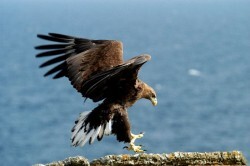 For information on Orkney’s sea eagles please click here. For a self-catering holiday for couples at the Peedie House, part of Gerraquoy Organic Farm, please click here for details. 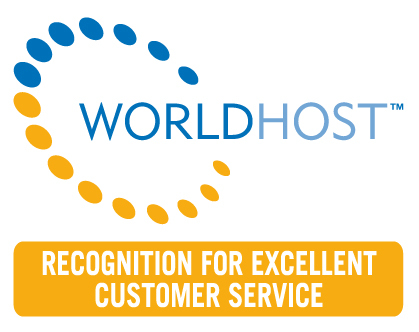 Steve has completed a ‘World Host’ customer-service training course, in order to maintain both Orcadian Wildlife’s and the Peedie House self-catering’s highest standards of customer care. Our 2019 schedule (16th season of operation) is now full and includes other tours as listed below. Small group size is one of our strengths, typically in 2019 in Orkney up to 6 persons only (7 max). 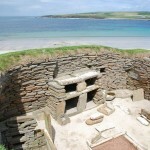 Our ‘traditional’ Orkney Wildlife and Archaeology tours are of course always available. To view our schedule please click here. Please look at our testimonials (also to the right of the page) or check out our Trip Advisor page – we offer relaxed, tailor-made wildlife and activity holidays for small groups of people. 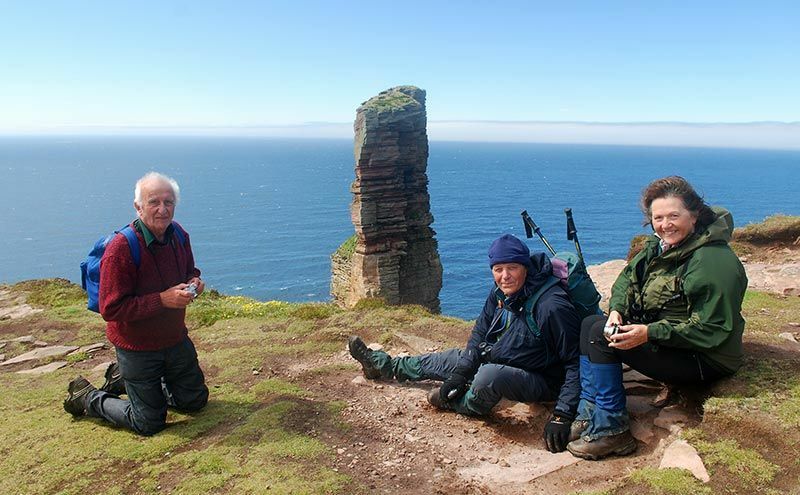 Prices are all-inclusive of accommodation, transport within Orkney (or elsewhere), meals and guiding, and may be found on the ‘Wildlife Tours Availability‘ tab. 13-26 January 2019: Falkland Islands: FULL. 6-20 April 2019: Costa Rica (Pacific Coast & Central Highlands): FULL. 18-25 May 2019: Romania (Transylvania, Carpathian Mountains & Danube Delta): FULL. 5 – 12 July 2019: Owing to a cancellation I currently have a VACANCY for a single person for a tour to ICELAND please phone 01856 831240 to enquire. 22-29 October 2019: Lynx Tour, Andalucía: FULL. Over the last decade an exciting archaeological dig has been taking place at the Ness of Brodgar in West Mainland, in the Heart of Neolithic Orkney. 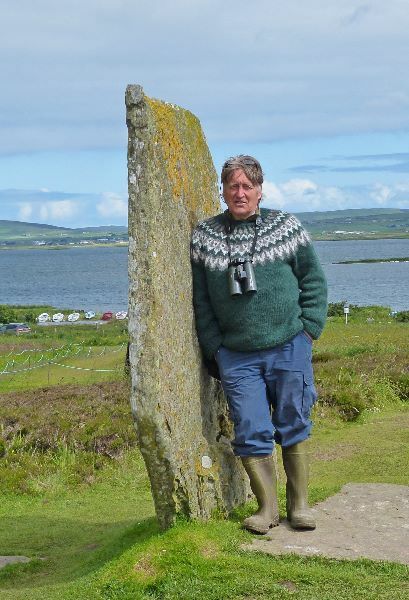 This site has been the subject of a TV documentary by Neil Oliver, and has contributed much to our knowledge of the Neolithic peoples and their lifestyle. If you wish to learn more, read this excellent piece done by Roff Smith for the National Geographic – for visual click here; for the feature article click here. 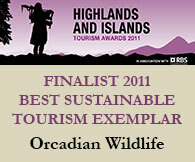 What makes a holiday in Orkney with Orcadian Wildlife different? We like to pride ourselves on no two days ever being the same. Orkney’s shifting skies and seas help, as does the weather – frequently all four seasons in one day. So it’s best to bring your waterproof jacket and trousers, and your boots. Wildlife doesn’t stop for the weather and neither do we (unless with your agreement! 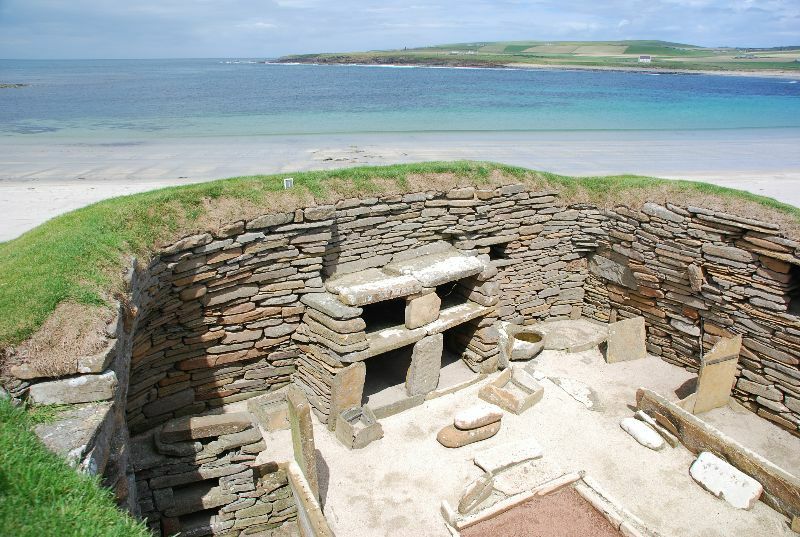 ).Wildlife, walking, photography and of course Orkney’s superb 5,000 year old Neolithic (new stone age) sites always feature in our itineraries. Orkney is one of the best places in Britain to get close to and enjoy seabirds, birds of prey and whales & dolphins (cetaceans). We keep groups small (typically 6 guests only) on purpose in order to enable you to see more – you will see lots of memorable sights with us, whatever the time of year. We specialise in a blend of wildlife and culture. We listen to you carefully about exactly what you’d like to see and where you would like to go – there are no sites on set days. Visiting islands is included and great fun! We actually live here (unlike most tour groups who visit) and so we know more about daily life in Orkney. Our holidays are all-inclusive, so that all you have to do is get here, and we do all the rest. 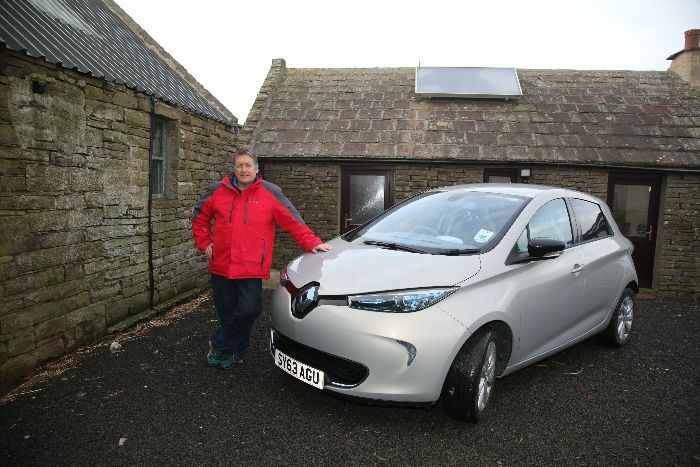 We’re proud of our approach to the environment: a very small group; an organic lifestyle; Green Tourism Business Scheme gold award for our self-catering; and a generator of renewable energy to help offset your carbon footprint. We encourage repeat visits (Orkney gets a grip of you…) and returning guests benefit from large discounts. Last – but most important – we really look after you! See the many testimonials on our website from our guests who have appreciated our relaxed style over the last 15 years. There is always something special to see at any time of the year, from sky dancing hen harriers, to hunting orcas, and migrant birds. 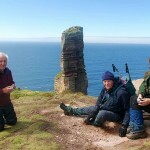 Please visit the Orcadian Wildlife Facebook page for up-to-the-minute sightings and other current Orkney daily blog-type content: http://facebook.com/orcadianwildlife – this site also contains a photo-documentary account of a 14 mile walk along the Atlantic seaboard of Orkney undertaken in April 2015. 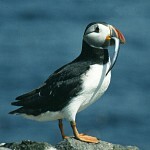 Have a look at our stunning scenery and wildlife! If self-catering is more your style we’re delighted to announce that that our Peedie House self-catering was given a GOLD Green Tourism Business Scheme award, a reward for all our hard work! 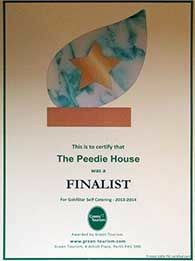 In addition, the Peedie House was shortlisted for the Green Tourism Business Scheme Goldstar Awards in 2012 and 2014. The shortlist is compiled from the highest scoring Gold graded businesses from 2011 and 2013 representing the greenest 2% of the total 2,400 GTBS membership. 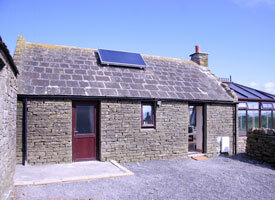 See our Self Catering Holidays pages for more information. Please note that bookings for 2019 are now being taken. Please book or enquire through the ‘self-catering’ section. 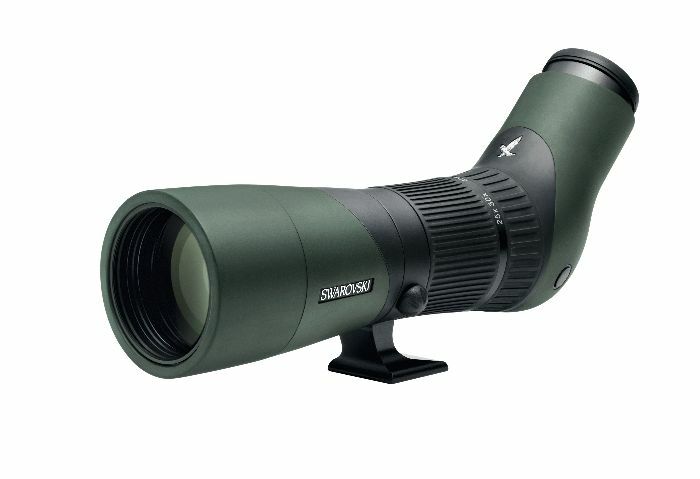 Orcadian Wildlife uses Swarovski equipment including this ATX 65 scope. Hold ups on Hoy, hoopoe hunting on South Ron add to our memories of Orkney to treasure and keep us sane for another year.